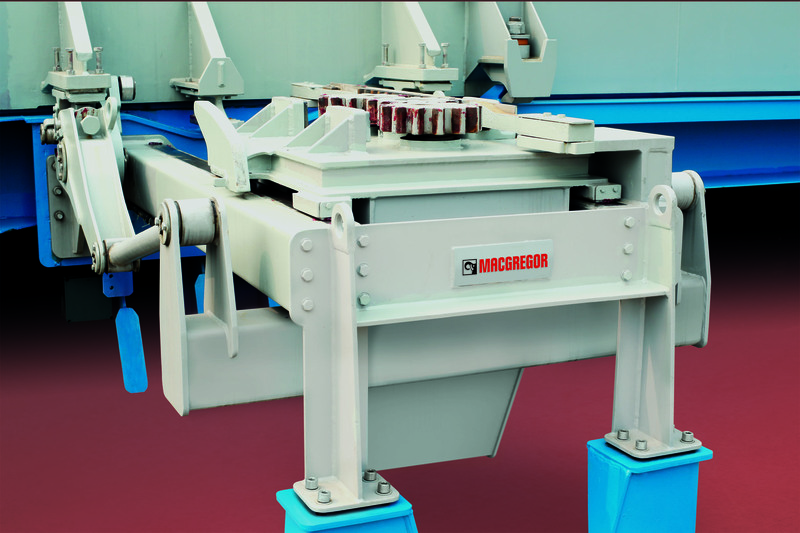 MacGregor, part of Cargotec, has won an order from Sungdong Shipyard in South Korea for side rolling hatch covers for ten 180,000dwt bulk carriers with electrically-operated opening and closing system, MacRack. The ships are being built for the New York listed Scorpio Bulkers Inc (NYSE: SALT). The majority of the ships will be delivered during 2015. Scorpio Bulkers Inc had previously ordered other ships with MacGregor side rolling hatch covers with MacRack opening and closing system. MacRack uses variable frequency drive (VFD) technology, which allows for the optimised use of electric power. The operating speed is slow at the start of the opening process, when power is needed to lift the panel. Rolling takes place at full speed and slows down again when the panel is close to the end stops. The first MacRack units were contracted in 2013 and today there are 600 on order for a total of 24 ships and ten options.